In this weekly podcast, Harmon Leon and Scott Calonico dive into the history of comedy; bringing listeners comedy cult classics favorite comedic influences, and all things comedy history. 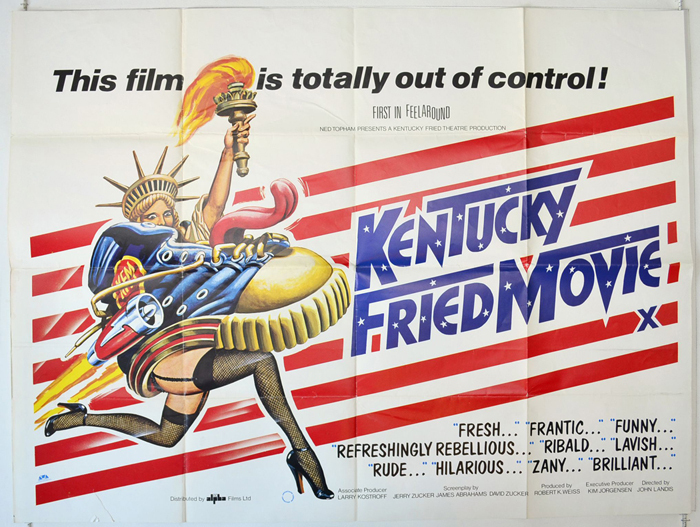 Kentucky Fried Movie is a flick that not only launched the career of the Zucker Brothers but also film director John Landis. The movie was made in 1977 right before their comedies, Animal House and Airplane, became international sensations. We dive into the origins of Kentucky Fried Movie, what it took to get made, and it’s place in comedy history. Also, a shout out to our new sponsor: Drunk Bible Study. Thanks for subscribing. We'll send you an email to confirm your subscription, dawg!